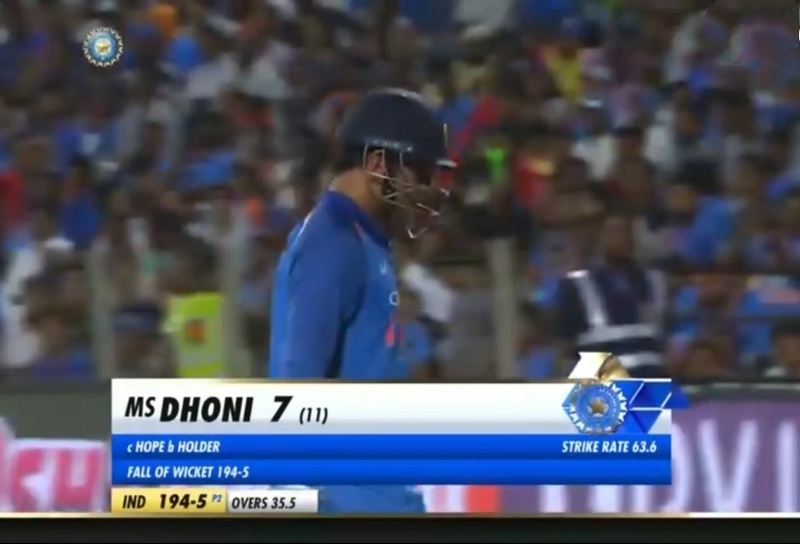 In the 3rd ODI played between India and the West Indies in Pune, The visitors trashed the home team and won the match by 43 runs and leveled the series 1-1. Earlier, inviting to bat first, West Indies scored 283 runs with the help of Shai Hoep's brilliant knock of 95 but Ashley Nurse's important cameo of 40 runs off 22 balls at the end helped Windies to post a challenging total for India. Apart from Kohli, no other player came good with the bat for India and the batting lineuo got exposed badly. Captain Kohli scored a fine hundred and Team India could have won this game easily today, but these 5 big mistakes costed heavily. 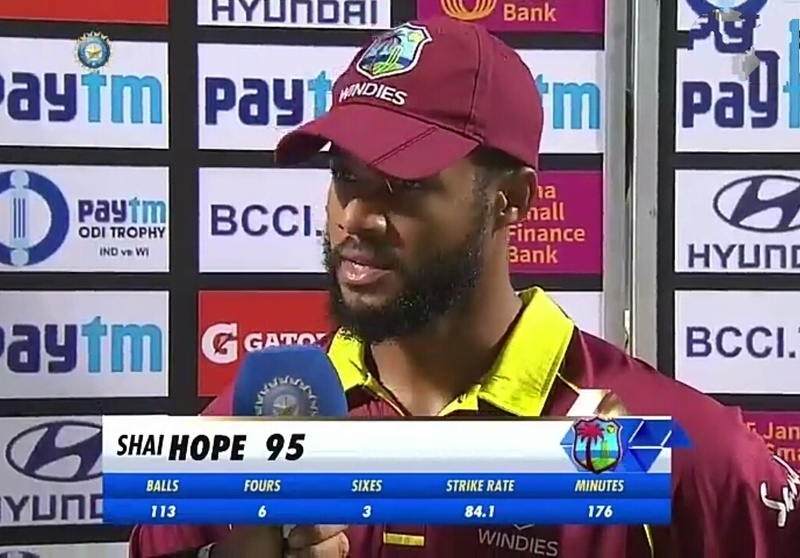 Windies emerging star batsmen, Shai Hope ha been performing very well in this series and in 3rd ODI he scored 95 runs in 113 balls. The Indian team didt attack him much and at the end had to pay the losses. 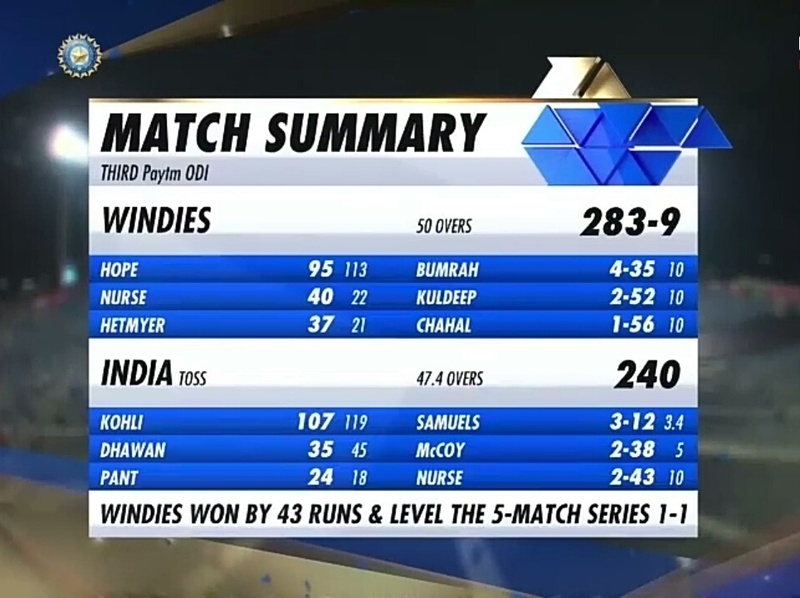 The Indian team had picked three wickets for 55 and later Windies was reduced to 227 for 8. Despite this Indian bowler failed to put pressure on the death over. As a result, the West Indies scored more than expected. Indian openers Shikhar Dhawan and Rohit Sharma are having a bad series as a pair and have did failed again in 3rd ODI. While, Dhawan had got a good start but couldn't not carry for more that 35 runs and Rohit Sharma managed just 8 runs. The Indian team dropped Jadeja and went into the field without a star allrounder. This mistake costed India the game as Jadeja would have proven to be a better bowler and handy with his bat than Bhuvaneshwar on the day. The owes of middle order is continuing for Team India. Rishabh Pant and MS Dhoni who had a great opportunity to take India home along with Virat Kohli failed miserably again. While, Pant scored 24 and Dhoni was dismissed for just 7 runs. So Friends, According to your opinion ? which mistake costed India the game ? Do send us your valuable feedback's below.